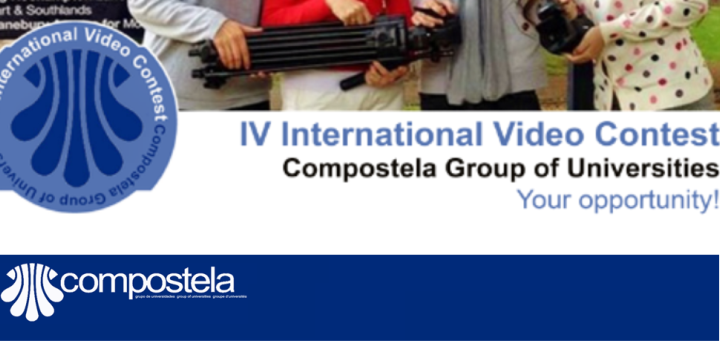 The Compostela Group of Universities (CGU) and Euronews will award the talent of the CGU students who submit, through their universities, the most original videos to participate in the CGU’s IV International Video Contest for Students. The winner of the Contest (or the representative of the winning team) will be offered a 3-6 months traineeship at Euronews. Furthermore, he/she will receive a contribution up to 1000 euro to travel to the CGU’s General Assembly, taking place in Santiago de Compostela, Spain, on 24-26 September 2015, where the video will be played and a certificate will be awarded. In addition, the winning video will be broadly disseminated through the different digital platforms of the CGU. Besides, a representative of Euronews will participate as a member of the jury and observer to identify highly talented students from the CGU participating universities who will also be eligible for a training placement at the TV channel. Please, check the Guidelines of the programme for more detailed information. How can my institution’s students participate? CGU member universities willing to participate should send tonoelia.martinez.cagiao@usc.es a duly filled in, signed and sealed Letter of Endorsement by 21st November.